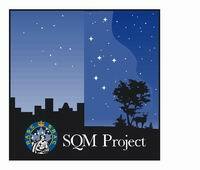 Welcome to the Royal Astronomical Society of Canada’s International Year of Astronomy Sky Quality Measurement Project (IYA-SQM Project). This project is continuing beyond IYA. Perhaps the greatest legacy we can leave through the IYA is greater public awareness of the plight of the nocturnal environment. Understanding light pollution and the growing list of affected items will most certainly lead to increased public sensitivity. It was perceived that the SQM-L can help facilitate this end. More specifically, the SQM-L when operated in controlled conditions has the potential to be highly useful research tool. 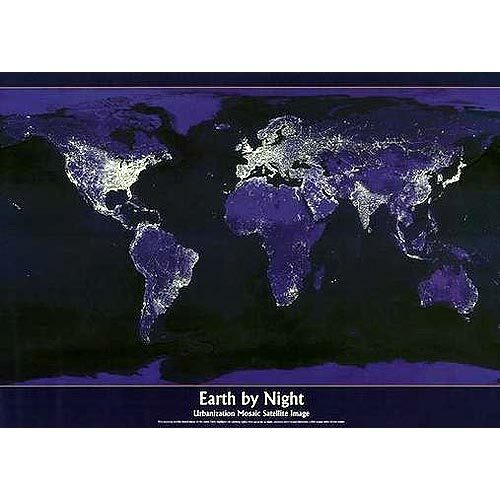 The renowned "Earth at Night“ poster, produced through defense meteorological satellite (DMSP) imagery, has lent substance to the pursuit of light pollution abatement. The image was the basis for work by scientists in Italy to develop a light pollution maps based on upward directed light and reflected ground illumination visible in the images. The potential scientific value of the SQM-L is that the sampling platform is at the base of the atmosphere. Hence the measurements are from the atmosphere above the observer. Therefore SQM-L measurements generate real data on light pollution conditions. When sufficient sampling is undertaken, inherent errors are minimized. Given that precise geographic locating is now commonplace, developing a grid of SQM-L measurements will yield int specific data. Thus SQM-L generated light pollution maps will for the first time provide a true baseline of light pollution levels in a given study area. Your responsibility is to sample your study area as thoroughly as practical. A SQM-L unit of course. This SQM-L has been tested, calibrated and prepared for use during the IYA by Unihedron Inc.
By entering the SQM Project you are obliged to make extensive use of the SQM unit in both public outreach and night sky measurements. After use you shall return the unit to the RASC or to the next user as instructed. The potential for groundbreaking understanding of light pollution consequences cannot be understated. Your active participation is vital to the success of the RASC IYA SQM Project! Every measuring device, whether a thermometer, speedometer, or tape measure, has inherent sources of error. The same is true of the SQM unit. But the variable conditions of the sky compound the variability of the SQM reading. The manufacturer, Unihedron, states this error is ± 5 %. For casual readings this is just fine. 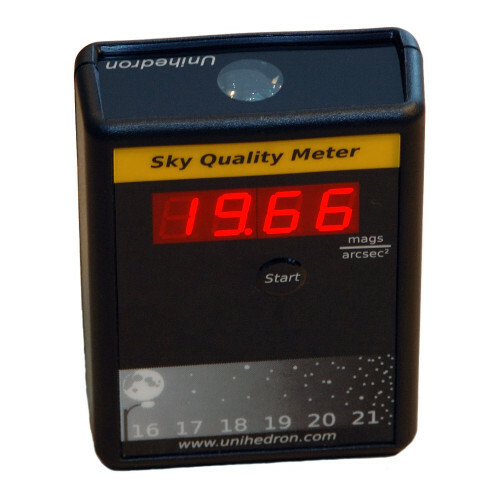 A simple click of the device will dispense a reading that will approximate light pollution conditions above that site. For scientific measurements however, it is important to reduce the probability of these errors for reliable results. The easiest means for use to do this is by taking multiple samples from the same site during the same session. Haze and other aerosols affect transparency and most importantly skew SQM readings. Thus caution should be exercised when selecting an observing session. Regularly, within the lending period. At as many sites as possible with the goal of developing a grid of readings in your region. During each session one final reading from a control site should be taken. The control site may be as simple as out your back door. This will ensure the reliability of the unit during the session. The geographic location of your reading trial must be pinned to the dataset. Without this info your data can not be combined with the data from the other units on loan. A GPS reading along side the SQM-L would be ideal. Although, it would suffice to query online map sites that can generate latitude and longitude coordinates. Please report in the following sexigesimal format: ±degrees:minutes:seconds. The SQM also records temperature. Please see Unihedron for more on why the temperature is necessary. A preferred spreadsheet form is available for data submissions. Note: there are places for ten SQM readings, a temperature reading, and one for latitude/longitude. Please consider taking at least five readings per observing site. Online submission is the preferred method.